* Follow the line of traffic in a circle and only stop your car and let your child out of the car when a staff member comes to your car door. * Please refrain from long conversations with staff members while dropping off/picking up your camper for it will take away from the efficiency of drop off and pick up. * If you’d like to speak to a director or staff member, please park your car in the parking lot first. 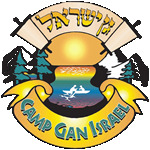 * Mini Gan campers staying for the afternoon program who have no other siblings in camp should be picked up at 3:30 pm.